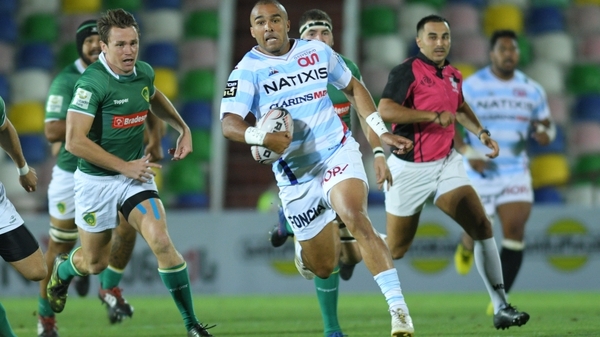 Simon Zebo says he has settled well into his new environment in Paris, but feels there is still more room for improvement with his French as he looks to make his mark at Racing 92. The former Munster player claimed an eye-catching individual try on his Racing debut last month and is gearing up for the start of the Top 14 season next weekend away to Toulon. His proficiency in the French language courtesy of his Martinique-born father Arthur has been a great help as he adjusts to life in Paris and the start of his career with Racing 92, but feels there is room for improvement. "My French is good but I was nervous at the beginning just having not spoken it as frequently as I would’ve liked to," he says. "But all the French boys think it’s good, they think it’s close to perfect but I feel I have a bit to do. "It has made settling in a lot easier, having the basics to be able to communicate with the lads and with the coaches," added the 28-year old who won the last of his 35 Irish caps in Japan last summer. The fact that former Munster and Ireland teammate Donnacha Ryan has been with Racing for a year has also helped Zebo hit the ground running, but he said there were some differences in France. "It is a small bit different compared to back home where there is a longer pre-season. Over here the season is probably longer, you play more matches. "The physical training during the summer wouldn’t be as long or as intense. We probably do a four to five week pre-season but have a couple games in that as well. The focus is all about games here, you don’t have too much time to build yourself up but you are expected to be ready to go when you are called." Former international colleague Paddy Jackson will also be plying his trade in France for the foreseeable future and the two men crossed paths during a pre-season friendly between Racing and Perpignan. Jackson in flying form at Stade Aime Giral last week as Perpignan won the clash 27-26, with Jackson heavily involved in both first-half tries as well as landing all three kicks as they built up a 17-0 lead. Both clubs changed their sides for the second-half, with Jackson departing as his former Irish team-mate Zebo was introduced, and Zebo expects the former Ulster player to be a success. "I spoke to Paddy and it’s going well for him. It’s great for him, a new fresh start and he has settled in well. He will do well in France. "He seems to be enjoying life in France. I don’t think his French is too good but that will improve soon because he’s working hard on it. "It’s obvious the Top 14 means a lot to the French people. You look at Perpignan, they have just been promoted and the stadium is nearly a sellout for a pre-season friendly." Racing 92 will open their campaign away to Toulon and then host Clermont Auvergne the following weekend and Zebo says he is ready to answer the call in a number of positions. "They are all big matches here. The coaches seem to want to play me at full-back but this is a world class squad full of internationals. "You never know where you could be playing on any given day. A lot of players rotate different positions but wherever they ask me to play I’m more than happy to do it. There is a huge battle for places but I’m looking forward to it all. It’s exciting," added the Corkman.